Ever dreamed of becoming a real-world rummy Champion? This could be your chance! Adda52 Rummy cordially invites you to take part in India’s most anticipated ..
Congratulations! 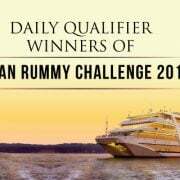 Adda52 Rummy is pleased to announce the winners of Daily Qualifier Tournament of Indian Rummy Challenge 2018. The winners will get the final .. 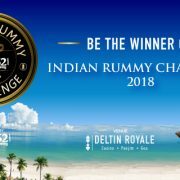 It is time to get ready to participate in India’s biggest and most exciting offline rummy tournament- Indian Rummy Challenge. 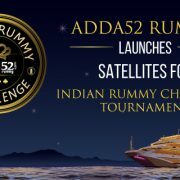 Adda52 Rummy– India’s .. 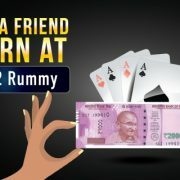 If you have an account on Adda52 Rummy, you can earn huge rewards by bringing your friends and family members to play rummy online with you. HOW TO EARN ..